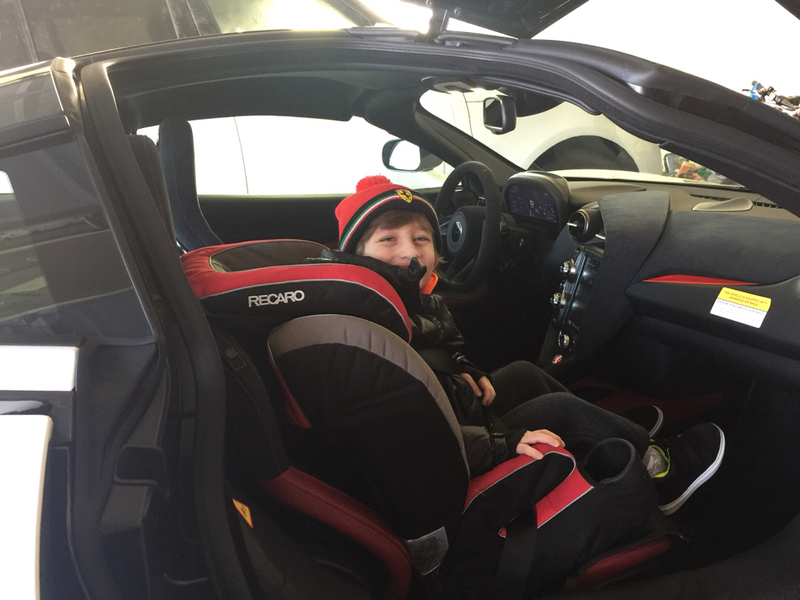 I just picked up a gorgeous 570S Spyder and was wondering if anybody in the community has experience with booster seats (for my five year olds). I would love any feedback. I thought children under 12 are not allowed to sit at the front seat, maybe its different in the U.S? 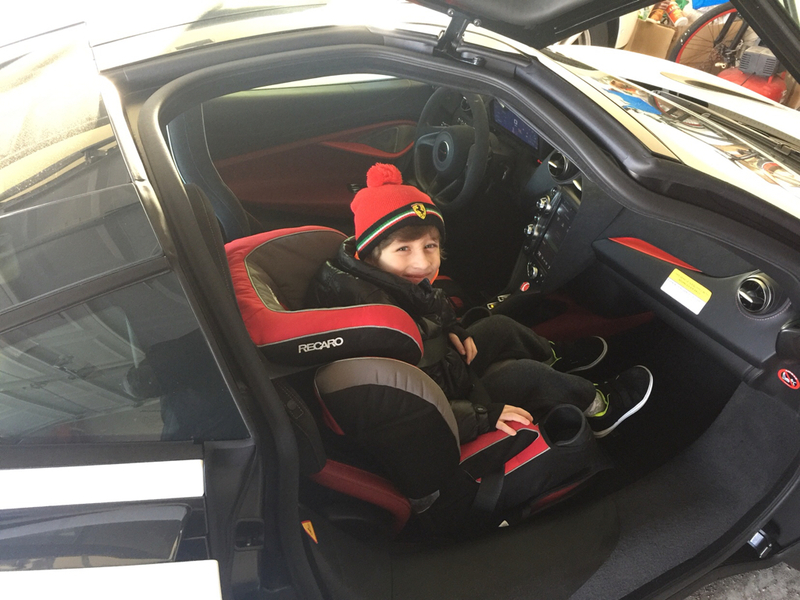 fyi - normal booster seats don't fit in mclarens with race buckets. The bubble bum's do. I would use the SUV to haul the kiddies. Congrats on new toy and post pics! Agreed. But they are just enamored with it and want to ride so badly. I say a thread about kiddos in 12Cs but didn't know if it was applicable to the 570. Thanks for the response. Thank you so much. I am ordering one now. Ordered this for my 911 and it fits really well in the 570S as well. I don’t have the racing buckets though. For my 650s,i found cosco rise booster seat the best. I initially bought the bubble bum for my 5 yo but then found this. It's narrow in the back and wider in front so works perfectly for the car (I don't have bucket seats). It has more support and is more comfortable than bubble bum. And it's $10. I use the BubbleBum seats for 5, 7 and 10 year olds, though they are rarely in the car and the trips are typically pretty short... The car also has a full child restraint system - KISI seat belt function and rear LATCH point (behind the seat). If I had kids in regularly I'd use the Diono (https://us.diono.com/) car seat. I have 3 of them (one for each kid) that I use in other cars. They have an extremely high safety, full 5-point seat belts, LATCH capable, aircraft rated, steal frame, aluminium reinforced sides & head, works from birth (5lbs) to age 11 (120lbs - age 12+ typically don't need anything), can be used rear facing, front facing & as a booster, and are designed to be very narrow (I can fit 3 across in my Evo 9, which is a "compact" sized car). See the McLaren owners manual for more details .. Page 1.52 to page 1.54. I think the Bubble Yum is for those that are more than 40 pounds, if your kid is only 5, there's a chance he/she may not be 40 pounds yet or even if they weigh a little over 40, I would still want to strap them with a 5 point harness for peace of mind. I got this Cosco seat from Walmart which is very inexpensive but doesn't have much padding so wife got some seat cushion padding for me to add to the seat, now it is very comfy and my 6 year old loves to ride in the car. Last edited by TheOtherBruce; 02-02-2018 at 04:27 AM. Having the 5 point is preferred. I will look into that. I have been using the bumble bum. It works OK but doesn't seem to provide much in terms of safety.